Presqu’ile Tasting Room, photo by Avis Mandel. Presqu’ile Winery Rates #2 in USA Today’s 10 Best Tasting Rooms in the U.S.
Presqu’ile, the Murphy Family’s contemporary estate winery in the hills of Santa Maria, placed second in USA TODAY’s 2018 National Readers Poll of 10 Best Tasting Rooms across the United States, serving as the only representative and entry from Santa Barbara County. Nominees for USA TODAY 10Best Readers’ Choice Awards categories are chosen by a panel of relevant experts. Presqu’ile (pronounced press-KEEL) is a small, family-run winery dedicated to making exceptional cool-climate Pinot Noir, Chardonnay and Sauvignon Blanc. Presqu’ile is a multigenerational collaboration between Madison and Suzanne Murphy, their three adult children, Matt, Anna and Jonathan, and their daughters-in-law, Amanda and Lindsey. No strangers to agriculture, four generations of the wine-loving Murphy family have been farming land in Louisiana for almost a century. Led by eldest son Matt Murphy, the family founded Presqu’ile—the Creole word for “almost an island”—both as a tribute to a beloved Gulf Coast family gathering place that was lost in Hurricane Katrina, and because they envisioned Presqu’ile as an island-like haven amid the vines. Also on the team is rising star winemaker Dieter Cronje. 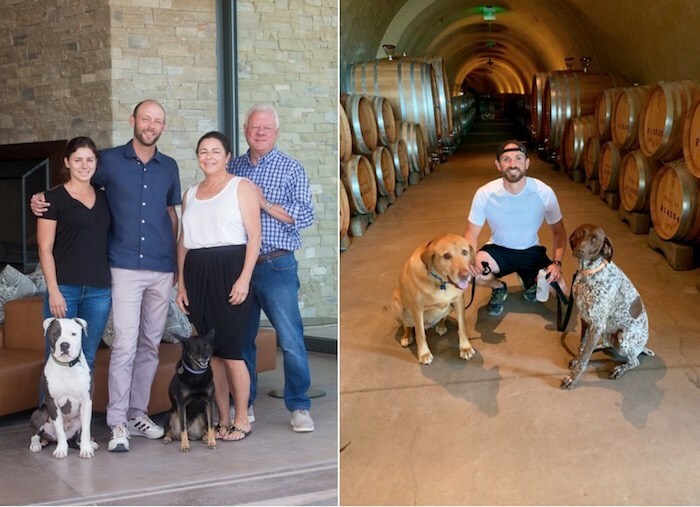 Left: Murphy family members Charlie, Anna, Matt, Pokey, Suzanne and Madison; right: Assistant Winemaker Mike Chase with Gus and Nyla. Photo courtesy of Presqu’ile. Presqu’ile also recently joined forces with the Santa Maria Valley Humane Society to release the Rescue Wine Collection named for the winning dog and cat of the Presqui’le Spokesdog and Spokescat Contest honoring the second annual Presqu’ile 5K9 Run & Walk held this fall. The contest and event benefited the work of the Santa Maria Valley Humane Society. 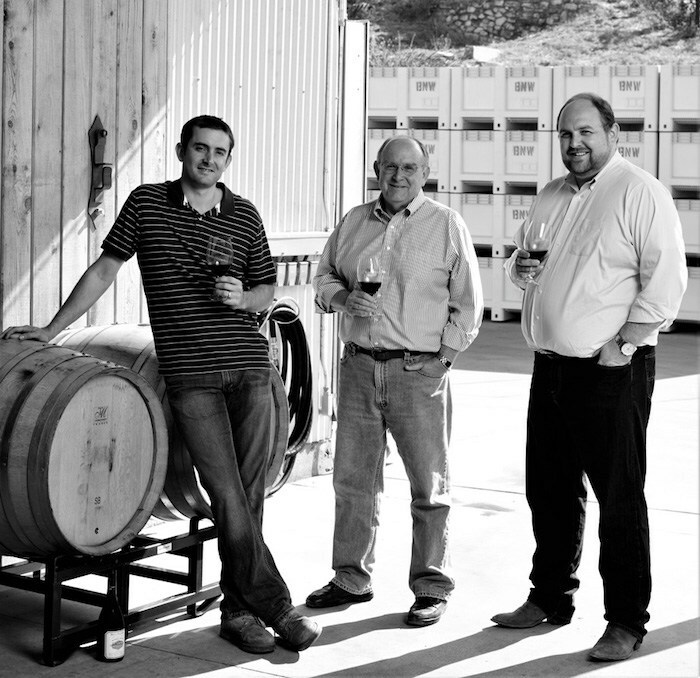 Nicholas Miller, Stephen Miller and Marshall Miller, proprietors of the Bien Nacido and Solomon Hills Estates. Courtesy photo. The Miller family, owners and stewards of the Bien Nacido and Solomon Hills Estates, recently announced the release of The Pillars, a selection of three historically inspired wines from the most exceptional parcels within Bien Nacido Vineyard. Since Bien Nacido Vineyard’s inception in 1973, the most impressive parcels of the vineyard have commanded the highest demand and demonstrated the greatest quality. It’s with this understanding that, after 45 years, the Miller Family has decided to craft these three special wines, anchored in the rich history of Bien Nacido and appropriately called the Pillars to represent the foundation of the winemaking program. Bien Nacido & Solomon Hills Estates are part of The Thornhill Companies, the industry-leading umbrella brand owned by the Miller Family—one of California’s premier winegrowing families who have been farming California’s Central Coast for five generations. In addition to the Bien Nacido and Solomon Hills Estates, The Thornhill Companies includes such well-respected brands as J. Wilkes, Ballard Lane, Smashberry and Barrel Burner wines, French Camp vineyard in Paso Robles and the custom crush facilities Central Coast Wine Services and Paso Robles Wine Services. Brick Barn Wine Estate Winery, courtesy photo. 2016 Albariño: Block 1 / Albariño Clone 1 / 1.9 acres. A lively rendition of this classic Spanish variety. Bright white flower aromatics build in the glass, leading to a crisp and direct core of exotic citrus and pear. These qualities are enhanced with extended skin contact, light pressing and extended cold settling prior to fermentation and aging in stainless steel. 2018 Sonoma County Harvest Challenge: Best in Class, Best in Show, Best White, Double Gold and Best of the Central Coast.2018 San Francisco Chronicle International Wine Competition: Double Gold. 2016 Vermentino: Block 7 / Vermentino Clone Tablas A / 2.1 acres. An aromatic white that offers both crispness and length. Grown in a wind-protected block behind the winery, this wine shows delicate floral notes of peach and honeysuckle followed by vibrant white fruit flavors—all layered over a fresh sea breeze salinity and a lasting, stony finish. 2018 San Francisco Chronicle International Wine Competition: Sweepstakes Winner White Wines. 2017 Grenache Rosé: Block 2 / Grenache Blanc Clone 141 / 3.28 acres Alive with a vibrant fragrance of rose petal and chalk followed by a juicy core of fruit and beach stones. This wine is whole cluster pressed, settled and co-fermented with Grenache Clone 136, Grenache Clone 513 and Grenache Blanc. 2018 Sonoma County Harvest Challenge: Silver Medal. 2016 Chardonnay: Block 5 / Chardonnay Clone 4 / 5.04 acres Block 6 / Chardonnay Clone 809 / 2.96 acres. A focused, terroir-driven Chardonnay. Bright and alluring tones of citrus and pear are driven by a crisp mineral structure derived from the alluvial sands of our estate’s lower blocks. 2018 Sonoma County Harvest Challenge: Gold Medal. 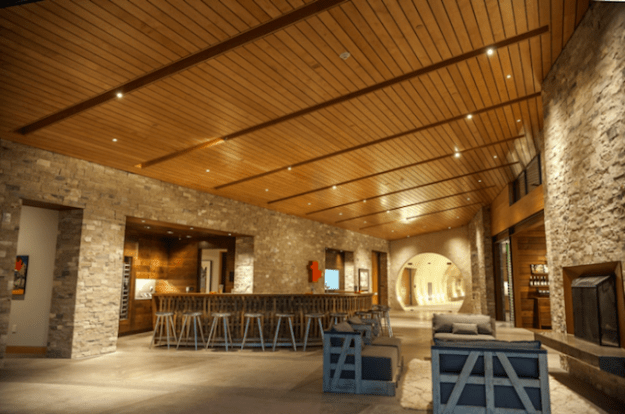 The 35-acre Brick Barn estate vineyard, which opened its Buellton tasting room in 2018, is open to the pubic daily. For more information, visit www.brickbarnwineestate.com. Parker Station Wine, courtesy photo. Guarachi Wine Partners and Fess Parker Winery & Vineyard recently announced Guarachi Wine Partners’ acquisition of Parker Station, a Central Coast Pinot Noir brand. Guarachi Wine Partners will be representing and supporting the brand by leveraging its experienced sales team, developing marketing campaigns and national distribution to grow brand awareness and overall volume. 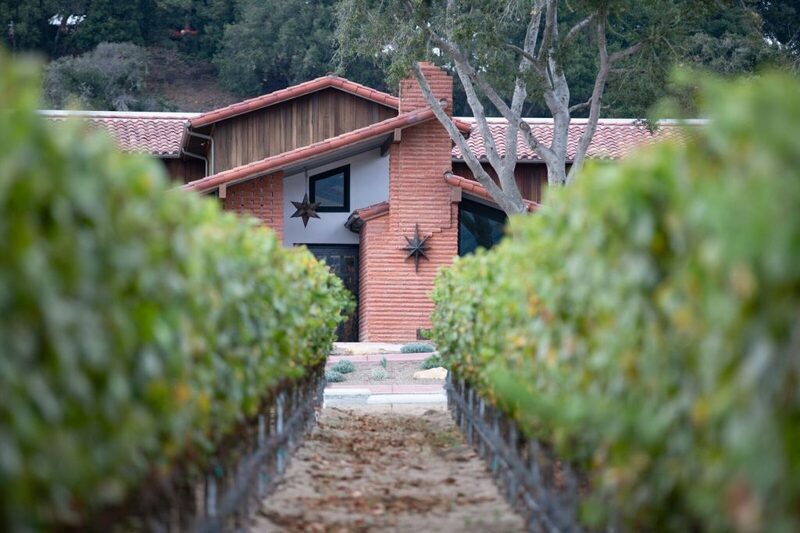 The wine will continue to be produced by Fess Parker Winery for a period of five years. Cambria Estate Winery recently announced the launch of its “Stewards of the Land” environmental sustainability grant program in partnership with the Leonardo DiCaprio Foundation (LDF). LDF has worked on environmental issues globally for the past 20 years and pulled from their broad network of leaders and organizations in the space to nominate the women for this new grant program. The Cambria “Stewards of the Land” grant program identifies and empowers female leaders who are making meaningful contributions to environmental and community-based causes. In partnership with LDF, Cambria Estate Winery’s co-proprietors Julia Jackson and Katie Jackson selected two recipients who will each receive a $25,000 grant to further their mission as Stewards of the Land. The inaugural grant recipients, Calla Rose Ostrander and the Women’s Empowerment Program of Amazon Frontlines, were selected for their demonstrated commitment to environmental conservation and excellent stewardship of our natural resources, in California and around the globe, respectively. 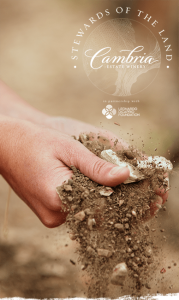 Throughout its history, Cambria Estate Winery has taken serious, continuous steps to preserve and protect the land, take care of its employees, and support the local community. Every aspect of the winery’s operations, from the cellar to the estate vineyard, practices sustainable farming and winemaking techniques. For more information, visit cambriawines.com/stewards-of-the-land. Originally published in Santa Barbara Seasons on December 14, 2018. Canary Hotel’s Summer Sip and Swirl series, courtesy photo. Get ready to enjoy one of the best views in town when Finch & Fork and the Canary Hotel kick off a sun-filled summer with the return of their popular wine tasting series, Sip & Swirl. Both locals and guests are invited to taste some of the region’s best wines and enjoy the stunning views from downtown’s premier rooftop terrace. The monthly wine series kicks off on Tuesday May 22 with wines from Cambria Estate Winery, Casa Dumetz Wines (winemaker Sonja Magdevski will pour), J. Wilkes (winemaker Wes Hagen will pour), Carr Winery and its sister brand, CrossHatch (co-owner Jessica Carr will pour), Stolpman Vineyards, Jaffurs Wine Cellars and Rancho Sisquoc. Held from 5:30 to 7:30 p.m. (perfect for sunset views) all summer long, Sip & Swirl features a rotating collection of local wineries who will showcase their best vintages. November and December Sip & Swirls will take a festive turn, highlighting bourbons, cabs, and bubbly. Dates for the series are May 22, June 26, August 28, October 23, November 13 (Bourbons and Cabs) and December 11 (Bubbles). Tickets are $35, which includes tastings of all the wines and cheeses. Visit NightOut.com, or purchase at the door. The Canary Hotel is located at 31 W Carrillo St., in downtown Santa Barbara. Originally published in Santa Barbara Seasons on May 21, 2018. The newest volume of The California Directory of Fine Wineries: Central Coast Edition (Wine House Press) takes a good thing and improves upon it, which isn’t always that easy to do. Editor Tom Silberkleit has the tough job of navigating through hundreds of Central Coast wineries and tasting rooms and selecting the very best places to sip and savor throughout Santa Barbara and San Luis Obispo counties. Then writers K. Reka Badger and Cheryl Crabtree (both frequent Santa Barbara Seasons contributors), joined for this edition by Daniel Mangin, get to write profiles of the top 50 destinations, which each feature lush, full-color photographs by Robert Holmes, along with sidebars listing locations, specialties and nearby attractions. It’s no surprise that this beautiful, visually-appealing book is featured in most of the top hotel rooms in the county. It would also make a great gift for the wine-loving people in your life. Among the Santa Barbara County wineries that made the cut are Alma Rosa Winery & Vineyards, Beckmen Vineyards, Blair Fox Cellars, Byron, Cambria Estate Winery, Carhartt Vineyard and Carr Vineyards & Winery. Also featured are Costa de Oro Winery, D’Alfonso-Curran Wines, Demetria Estate Winery, Fess Parker Winery & Vineyard, Foley Estates Vineyard & Winery, Foley Food & Wine Society and Foxen. Grassini Family Vineyards, Hitching Post Wines, Loring/Cargasacchi Tasting Room, Pali Wine Co., Sanford Winery & Vineyards, Silver Wines and Zaca Mesa Winery & Vineyards are also featured in The California Directory of Fine Wineries. “There’s a lot more activity in the Funk Zone this time around,” says Crabtree, who wrote the majority of Santa Barbara County entries. 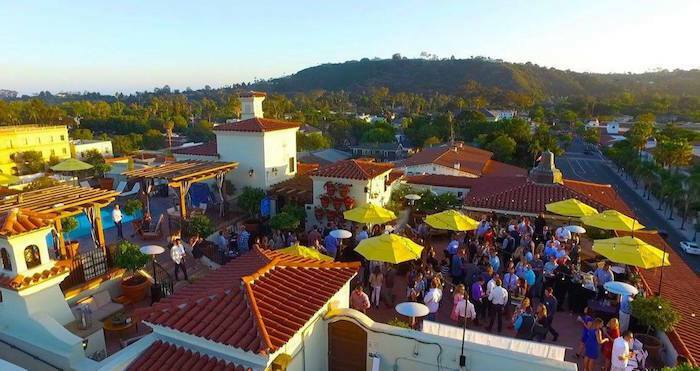 The update includes the addition of a number of Santa Barbara urban wineries, including Pali, Silver Wines and Blair Fox in the Funk Zone, and Grassini, in the downtown El Paseo Wine Collection. There is also the addition of the Foley Food & Wine Society at the Bacara Resort & Spa, where you can taste from a large portfolio of Foley-owned wineries. This visual feast of a wine book is available at Chaucer’s Bookstore, 3321 State St., as well as some of the local tasting rooms and wine-related venues. Originally published in Santa Barbara Seasons Magazine on May 22, 2015.